A return rate of only 1%, indicating the high quality of our first shipped Nuki products. Just last week we ran a customer satisfaction analysis with a selected sample of Nuki customers, resulting in very positive feedback too. Benchmark comparison puts us head to head with major consumer electronics brands. There are vital discussions in our slack developer channel and we invite everybody who’s willing to contribute to join. Check out the contact section of nuki.io/fr/api/ to get an invite. Thanks also to everybody who shared their stories about Nuki on Facebook or via e-mail. After having shipped the first few thousand units of Nuki Smart Locks, we analyzed our production processes and came up with a list of improvements we’d like to make. This will improve the speed of our production process. Our goal is still to increase our weekly throughput to 1,000 units per week (currently 500/week) as we are preparing for future growth and to fulfill your preorders as soon as possible. 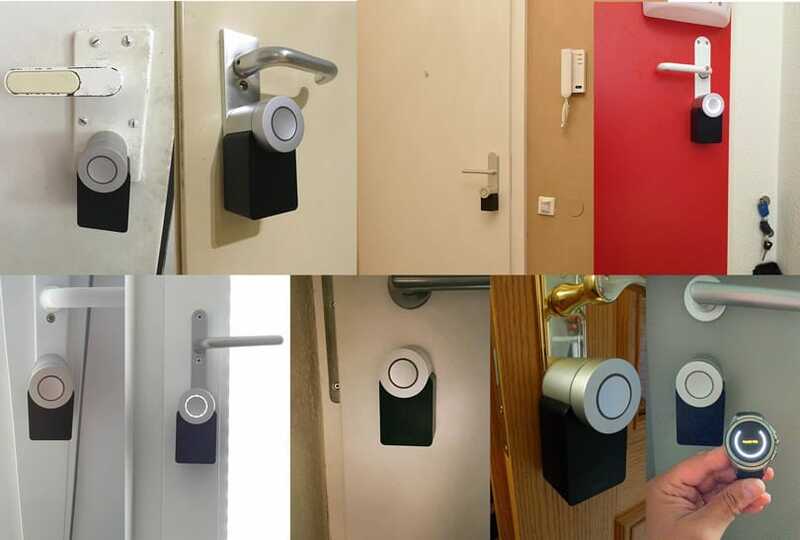 As a consequence, the production of new Smart Locks has been stopped for approximately four weeks, until all required changes to the toolings are completed. Unfortunately this also means that we have to postpone our shipping timelines once again. In general, we will push back all forecasted shipping dates by 5 weeks. By tomorrow we will also update the forecasted shipping dates in your Nuki Shop order overview and also send you an e-mail with all the information in case you don’t have a Nuki Shop account. We are really sorry for all the inconveniences and the late communication. This is something we haven’t expected to go this way and we also cannot change it in the short run. The only thing we can do is to work really hard to get the Nuki Smart Locks into the hands of all remaining backers as soon as possible, which is what we are doing. Progress has been fine again. The shipping of Nuki Bridges to our Kickstarter backers is supposed to start within the next two weeks. There’s still some final testing to do and we learned from our first Smart Lock shipments that it takes some time to set up the logistics right to ship thousands of units. We will gradually increase weekly shipments. Our current forecast predicts that all backers will receive their Bridge by end of September (CW39), so within the next 6 weeks. When it is possible we will ship Nuki Smart Locks and Bridges combined in one package, like it was initially intended. Nuki for Apple Watch is finally here! More new features for the Android and iOS Apps in the last updates include: Improvements of the Auto Unlock feature, the ability to update the firmware of your Smart Lock, new screens detailing the connection status of your Nuki system and your last Auto Unlock. A small update to the current v2 firmware for the Smart Lock will be released soon. Smart Lock firmware v3 with some new features is just around the corner too. Another major topic we’re working on right now is to improve the stability of the Bluetooth connection with Android phones. So there’s still a lot going on in all areas and we promise to push during the last phase of our preorder campaign. Thank you for your patience and your great feedback so far!